It's a good time to be a fish on the Clackamas River. Coho, chinook and steelhead have been returning from the ocean in consistently high numbers for the past several years. Though numbers from this year's return are not yet complete, last year 1,434 winter steelhead, 3,586 chinook and 7,281 coho successfully swam through the Clackamas River from the Pacific Ocean. Ten years ago, these numbers were respectively 655, 818 and 727. "The number of adults returning during the last four years is more or less unprecedented," said Garth Wyatt, a fish biologist with Portland General Electric. These increases are credited to fish passage improvements made by Portland General Electric on the Clackamas River. 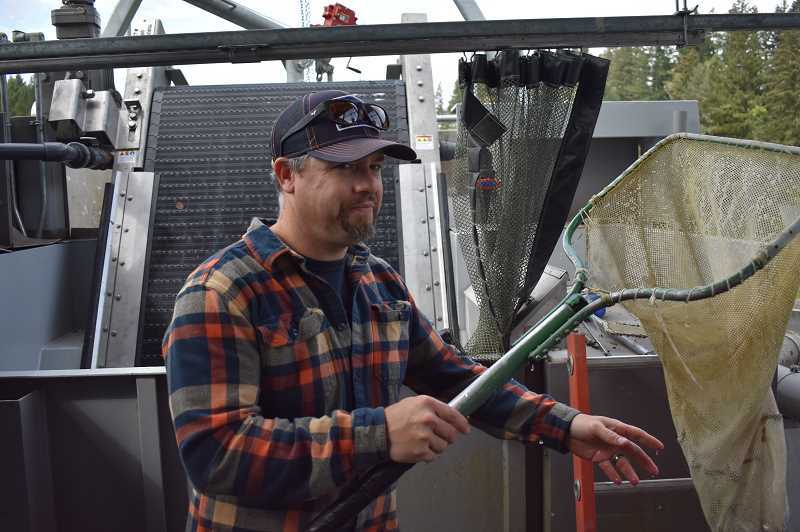 In recent years, the energy company has installed an additional surface collector at North Fork Reservoir, a fish ladder at River Mill Dam, sorting facilities for both juvenile and adult fish and extended a fish pipeline. These facilities ensure that fish pass safely around the River Mill, Faraday and North Fork dams. The upgrades, completed in 2015, are part of the company's most recent licence with the Federal Energy Regulatory Commission (FERC), which allows them to operate hydroelectric projects on the river and requires a 97 percent survival rate for fish. Juveniles who traveled through the new facilities to the ocean have been returning to the river since 2014, and biologists at PGE are happy with what they are seeing. "It's one of those stories you would be hard pressed to find anywhere in the Pacific Northwest. You might find it with one (type of fish), but we're seeing this across three species," Wyatt said. Along with increased rates of survival as fish journey through the new facilities, the creatures are also making their way to the ocean at different life stages. 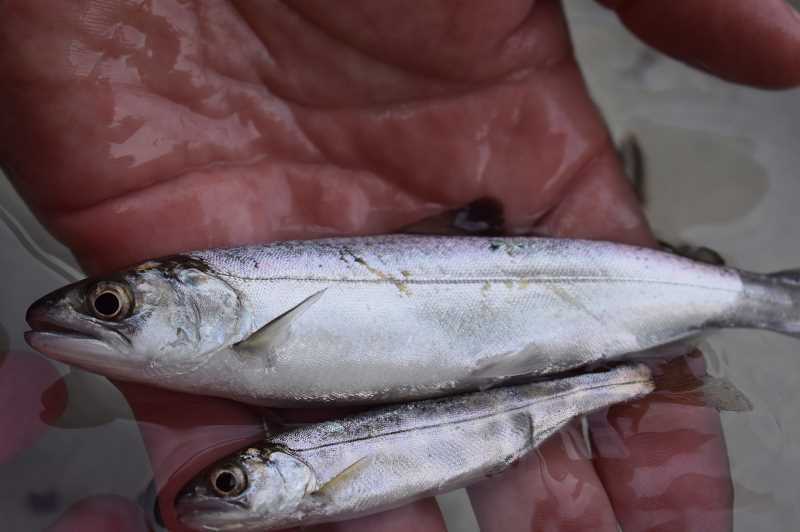 Though fish on the Clackamas River have frequently migrated as smolt, biologists have recently found them moving at earlier life stages like as fry and parr. Prior to the improvements, dams on the river would often cause one of the life stages to become dominant instead of allowing the fish to reach the ocean at different ages. "The reservoir sets environmental conditions and impounds water, and growth (of fish) occurs rapidly. If (the fish) can't find a way out, they're forced to keep getting larger," Wyatt said. "If their trigger to go to the ocean is at 120 millimeters long and they can't find a way out, they'll stay in the reservoir longer." But because fish are now more easily able bypass the dams as a result of the new facilities, they can opt to journey to the ocean at one of several life stages. Wyatt noted that having a diverse age group of fish migrating has also helped increase the number of returners to the river. "That's likely contributing to that adult return. It's buffered our returns," he said. Another effect of the new fish passage facilities is an acceleration of the run time of spring chinook by one month. This has led to an increase of chinook throughout the river basin. "They can move quicker through the project and go higher upstream in the basin to spawn," Wyatt said. "Higher up is better spawning habitat, which creates more juveniles." PGE plans to remove and replace a longstanding structure on the Clackamas River — the Faraday Powerhouse. It will be demolished next spring, and a new structure is expected to be completed at the end of 2020. Wyatt noted that the new powerhouse will help with fish passage, as the new generating units will have a higher survival rate for ones who do end up there. "The mortality rate of the new powerhouse should be lower than the older one," he said. Last year, coho overtook chinook as the most populous fish on the Clackamas River, though Wyatt noted that chinook will likely surpass coho in population once again since the latter's runs tend to be "boom and bust." Additionally, the number of fish returning to the Clackamas River is higher than that of fish on other regional rivers. For example, the 2015-16 winter steelhead run for the Clackamas was at 209 percent, whereas this figure for the Willamette River was at 106 percent. "Our returns are consistently double that of the Willamette and Bonneville," Wyatt said. Fish thriving in the Clackamas River is also significant because of harsh conditions found in the Pacific Ocean. For the past several years, the ocean has been warmer, which leads to less-than-ideal conditions for fish. "A warm ocean doesn't support the primary production that allows for the food chain to feed the fish. There is not as much food available for chinook," Wyatt explained. "For us not to be struggling says something. It's not like our fish are genetically superior. It's a result of facilitating multiple life histories and reducing the rate of mortality."